The development of a skin rash, which is triggered by a reaction to any particular food, medicine, or any other irritant is called hives. It is also known as urticaria. The skin condition of hives is not contagious unless it contains any infectious agents, such as viruses, which can be transmitted from one person to another. As a matter of fact, a majority of hives are not contagious. So, in general, hives do not spread from person to person. For an individual affected by hives, the rash can occur in localized areas or over many areas, such as the chest, back, and extremities. Hives or urticaria is a particular skin rash which is characterized by the development of raised, quite itchy, pinkish or whitish welts on the skin. It can affect a particular area of the body, such as arms or stomach, or may occur over and affect the entire body. The release of histamine in the skin triggers this itchy rash, and it is known to occur due to an allergic response. Hives tend to affect kids and females more frequently. They can occur due to an intake of certain foods or medicines or due to certain conditions, chemicals, drugs, or infections. Here are some agents which can trigger hives. Usually, hives mitigate and vanish in about 24 to 48 hours, if the affected person is no longer exposed to the allergic agent. However, if these skin rashes last longer more many days or weeks, it may be called as chronic urticaria. Often, pregnant women are prone to an increased risk of developing urticaria. If hives become widespread and the person develops any symptoms, such as wheezing, throat tightening, difficulty swallowing, and/or shortness of breath, the individual or the individual’s parents should immediately seek emergency care. You can deal with hives with some simple tips at home. Cool the hives-affected area with a cool shower, a fan, or by applying wet towels. Prefer to wear loose and light clothing to reduce the irritation of the skin. For some patients, the use of topical lotions may soothe the skin. Homeopathy medicine treats the disease as a whole. And, similarly, when treating urticaria with homeopathy, a homeopath tries to identify associated symptoms and thereby treats the cause also. Homeopathy follows a totalistic and individualistic approach, and after a detailed discussion with regards to the predisposition and its associated symptoms, a homeopath prescribed a customized remedy which may include one or more of the homeopathic remedies as mentioned below. When the hives consist of isolated patches which are painful, tender, itch at night, impart a feel of bee stings, turn purple, Apis Mell is indicated. This remedy is indicated when there is a slight fever, burning pain, and warmth present around the surrounding skin. When the urticaria is caused by eating shellfish and results in the burning sensation and restlessness, Arsenic Album is indicated to treat the condition. This homeopathic remedy is made from a plant called stinging nettle, which itself has a tendency to produce urticaria. This homeopathic medicine is used when urticaria occurs due to the bee stings or after eating shellfish. When the skin lesions due to hives turn red resulting in severe burning and itching and when the condition recurs every year or associated with the weather changes, Urtica Urens is indicated. When the affected individual experienced redness, itching skin, Rhus Toxicodendron is indicated. It works on multiple body systems including the skin, joints, eyes, extremities, and overall vitality. It is used to treat chronic urticaria, where the lesions develop after severe irritation. Also read: How Important is Diet in Psoriasis Treatment? When the lesions of urticaria develop followed by a general prickly sensation setting in and at night when it is cold and damp, Dulcamara is indicated. This remedy is also used to treat the swelling of the lymph nodes, decreased appetite, vomiting, violent cough, nausea, bitter taste, intense aching in the pit of stomach, fever, and restlessness. 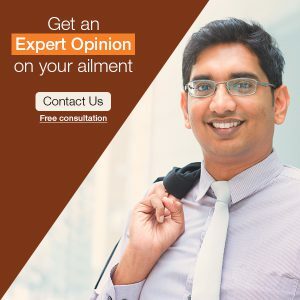 If you happen to suffer from the discomfort of urticaria any time, count on homeopathy, by seeking homeopathic treatment from an expert and experienced homeopath. Get rid of your skin irritations and have healthy skin!